Were you in the crowd at The Shay for Town’s FA Cup clash with AFC Wimbledon on Saturday? 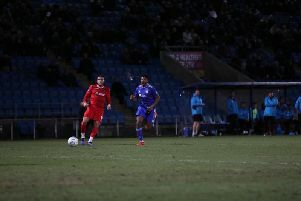 The Shaymen lost 3-1 to The Dons in-front of 2,044 fans and the BT Sport cameras. Have a look at our Fans Gallery and see if you can spot yourself among the supporters.